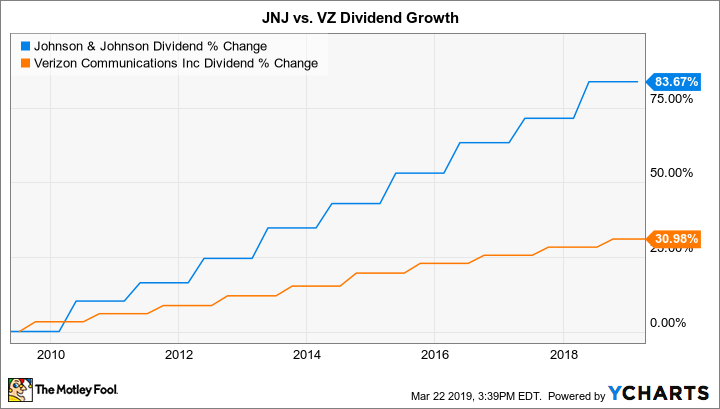 Verizon Communications (NYSE:VZ) and Johnson & Johnson (NYSE:JNJ) might seem like an odd pairing, but they actually have a lot in common. They both hold commanding positions in their industries, have strong brand names, produce gobs of free cash flow, and pay monster dividends. These facts make them ideal choices for income-seeking investors who value stability. Check out the latest earnings call transcripts for Verizon and Johnson & Johnson.